why do so many despise you? everyone loves that Sweet Basil. is invited to every party! and cast you to the floor. they might savor your humility. or scream across a plate. very beautiful and powerful, Lesley. I enjoy the depth and maturity of this work more than all else i have read from you. Thanks for adding some zing to my days with your skillful words and creativity! Among other things, this thoughtful musing is, for me, an analogy for self-acceptance and humility. Always good reminders this direction! Well I for one really loves cilantro and this beautiful reminder about humility. In salsa, scrambled eggs, lentil salads, etc., cilantro has been my friend. So love your lively imagery of the different herbs. You are the best. Interesting insight … and a fun read. 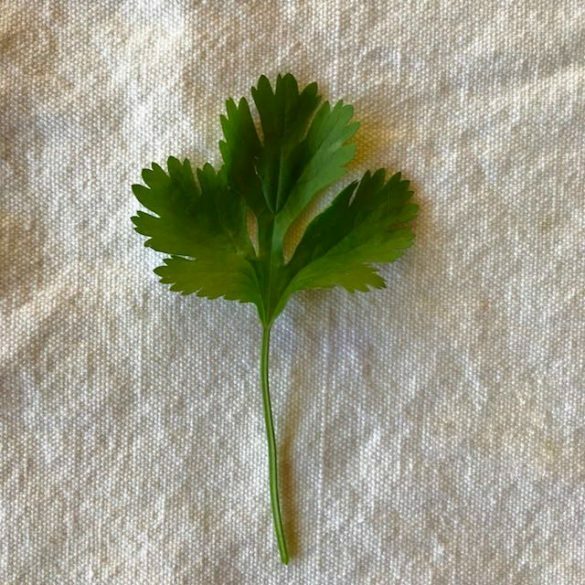 A friend tells me I have the anti-cilantro gene. No matter how I try, it tastes like soap. It’s so interesting you would write a spiritual poem about cilantro, of all herbs. In the circles I am surrounded by, cilantro is never questioned. It is regarded as important to a dish as a tortilla is to a taco. However, like so much of this world, my taste for cilantro has undergone a transformation. I guess I was one of those who gave cilantro a chance. It used to be repulsive to me, but after learning more about it, and trying it in different dishes, I now find it delicious, but it must always be fresh, never dried. And best of all, it adds such delightful color to my smile when it gets caught in my teeth. Fun, pensive poem, Lesley. Bien hecho! Thank you all for you comments. It has been a joy to read your responses to this. Rudy, thank you for the chuckle, and Garry, I’m glad to hear you’re enjoying this work the Beloved has me undertaking. I sure do! Blessings to you all. Thanks for standing up for the mighty cilantro!! It brings me joy just sniffing its fresh, fresh scent in the grocery store! Lovely poem! Much love, Lesley. Your humility allows for refulgence and, I am sure, a savory life. Blessings.